Yesterday, finally, I had enough time to hack my Syma X5C transmitter. 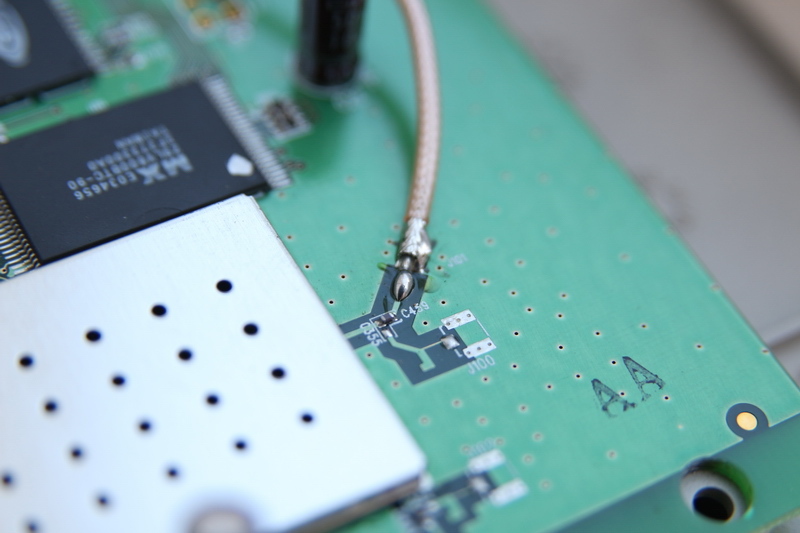 Why I had to make this hack risking to brick my transmitter? because I need more the 30m for a decent outdoor flight. After few minutes I found why the range is that short. The tiny antenna on the top of the RC is only a fake plastic with nothing inside . 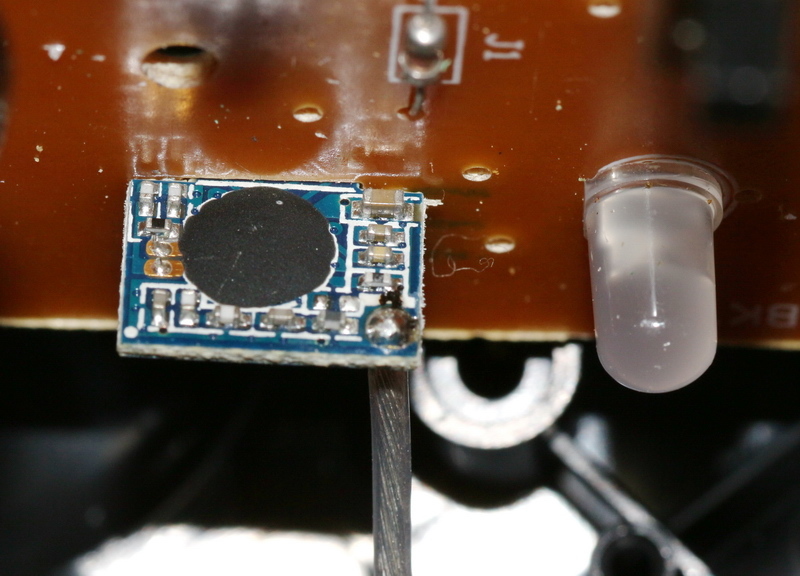 The antenna is only a 3cm long wire soldered on the TX module. I decided to add a true 3db or 5db 2.4Ghz antenna to the transmitter. As most of the WIFI routers are operating at the same frequency (2.4Ghz), I decided to order from Ebay an antenna and a WIFI pigtail to hack my Syma X5C transmitter. Unfortunately, the shipping from China to my country takes more then 3 weeks…I don’t want to wait that much…lucky for me I found a dead WIFI router that was perfect to recover the antenna from it. Now I have everything to start the Syma X5C range hack. All the steps of this hack are also documented by images at the end of this post. Step 10 – Go out with my Syma X5C and test the extended range of the transmitter, hopefully up to 80-100 meters. To determinate the exact range extension of the X5C transmitter after adding the 3db 2.4Ghz antenna, I need to borrow a radio frequency spectrum analyzer. I think the images will talk by themselves and, if you want to extend your Syma X5C transmitter range, you will easily reproduce this hack. Thanks for this hack. I’m not sure if my protective layer of the router anteena is soldered to the ground as it should be, but my range is about 70-80 meters now. Maybe I’ll try to hack the quadcopter antenna as well. 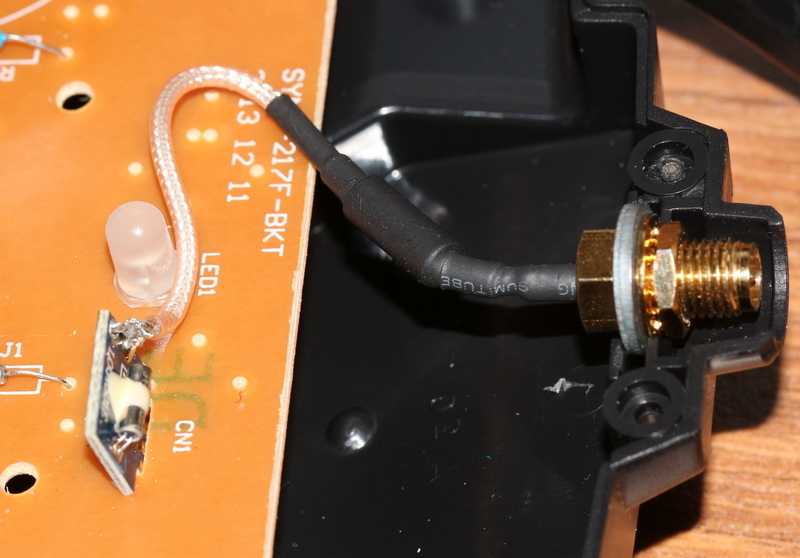 While soldering the new antenna i accidentally melted the top part of components sw-6 and sw-7. I think they control the video camera. Where can I find new ones? That range is insignificant, compared to your ability to properly see your craft, no matter what you fly…keep your birds under control. I have at least quadrupled the stock range of 30m….. Thanks! I made this transmitter hack and the control distance is almost double! 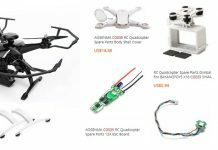 This range hack will work with all Syma Quadcopters? 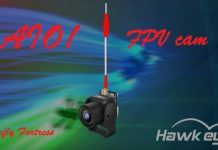 I want to extend my X5SC’s transmitter range, it is possible? I ordered a !!!2-WATT!!! amplifier from ebay. If I remember, I’ll post my findings here. I don’t expect it to arrive for another two weeks. My hope is that if I can see it, I can control it. I recently bought a Syma x5c quadcopter from Amazon. I decided to upgrade the range on the transmitter by installing a 2.4 ghz antenna with the socket wires soldered to the receiver board. 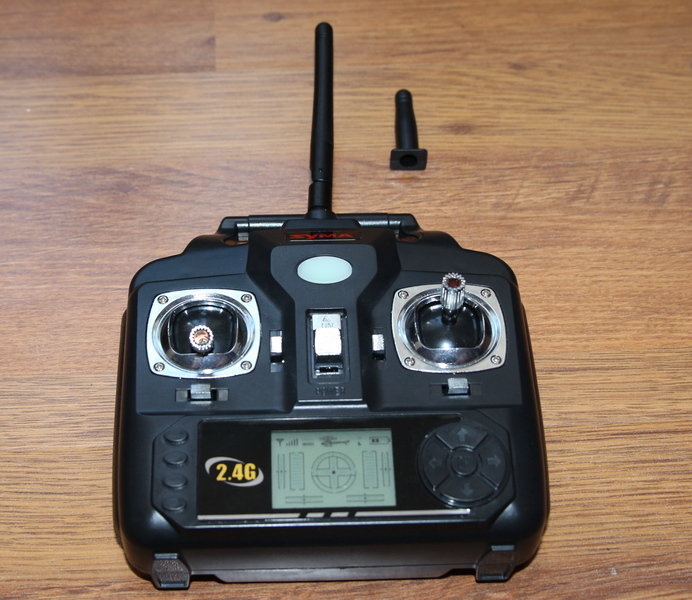 After putting the transmitter together and going through the start up procedure for copter and transmitter , I was unable to pair them together. The transmitter just kept on making a buzzing sound, I re soldered the original short wire to the board to start from scratch but it still wouldn’t work. I came to the conclusion I’ve done more harm than good. I went on eBay and purchased a new transmitter from a company in London, they claimed it was for a Syma X5SC X5C-1 and X5C. 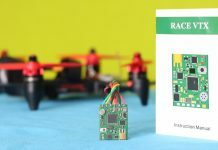 When it arrived and tried out it would’nt pair with my quadcopter. They sent a replacement out and the same thing happened, they have now said its not the controllers but a fault on the quadcopter. The quadcopter was flying perfectly before I messed up the transmitter. My original transmitter had a green power light but the replacements have blue lights instead, is this significant? 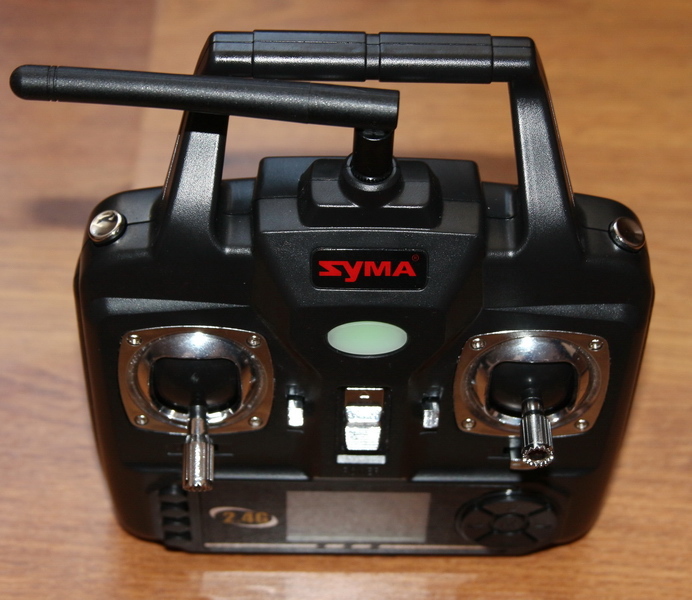 Is there a possibility that the new transmitters are not compatible with my Syma x5C model. I don’t know how the proceed at the moment to test if my copter is faulty or not or is it a compatibility issue of the the Tx/Rx. Two different remotes, my son flew his quad on to a factory roof… Gggrr! So I got a replacement quad and it wouldn’t bind, after a lot of hour reading there is a difference, also a visual difference being the fake buttons are on the opposite side to each other and the green light one says 3D control on top an the blue one says Syma an the sets I have got. Still got the green light one in a draw. and god news is my s5c was found after about 6 months ago. but i’m not home now. Guys, you are aware the claimed 3 dB SS gain is VERY little? By al! means, do continue experimenting. However, you are not on the right path. If you want a half-decent antenna gain, you will have to go directional instead of omnidirectional. If you really want range, you need to add a PA, AND a decent antenna. That will work ! I have made range hack but not that good. I skinned bit old antenna and added now antenna there where i had skinned old one. I tested it and it seems to work pretty good. I ordered last week new antenna from Amazon. A 8db antenna will work? I will post here if it work and put a link how long the range will increase. I have the X5C-1 model, and just found my old Linksys router (wrt54g v6), has two antenna’s, but only one has the pigtail. The other is linked via the PCB. Not entirely sure, but I believe it to be a 3db gain. Going on the assumption that this antenna is good, my question would be that aside from extending range, has anyone seen any improvement in overall control, even at ranges that the stock antenna can handle? Great hack, only problem I had fly too high and the wind grabed my copter and i never saw it again, second one this week. I’m a nine and don’t know what dipole means could someone explain. Also I want best range as possible. 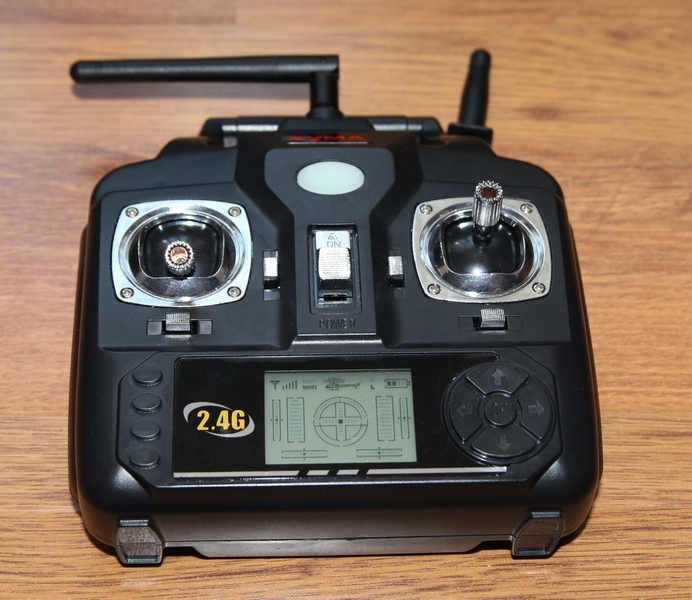 And finally after these mods could I mount the FPV hobby king system and fly. I’ve found the solution on YouTube and it works well. Hi. I added 122mm coaxial wire to receiver and the same to the syma x5c main board and manage to get around 80m may be a little more. Another 20m would be sweet. 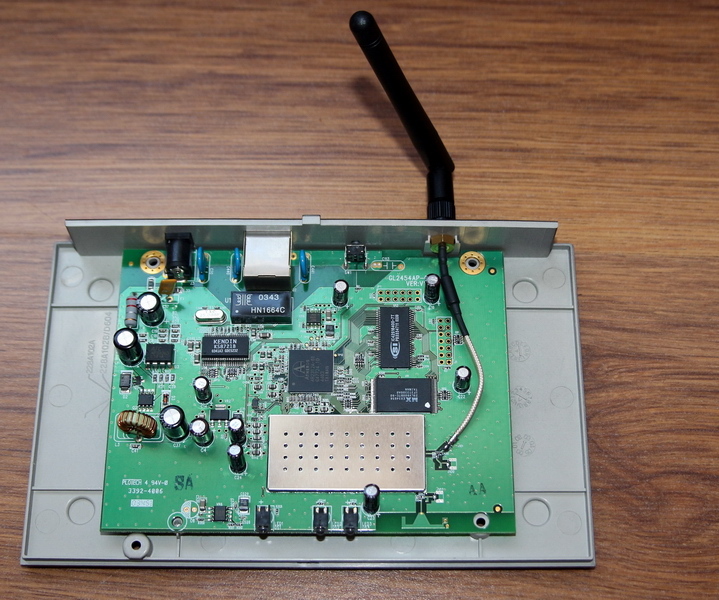 Try to add a real Wi-Fi antenna to the X5C’s remote controller. I tried the “wire hack” (seen on YouTube) and now I can’t get the copter to bind to the transmitter. Any suggestions on how to fix this problem. I’ve tried the normal pre flight exercises a million times… And nothing. Please help! 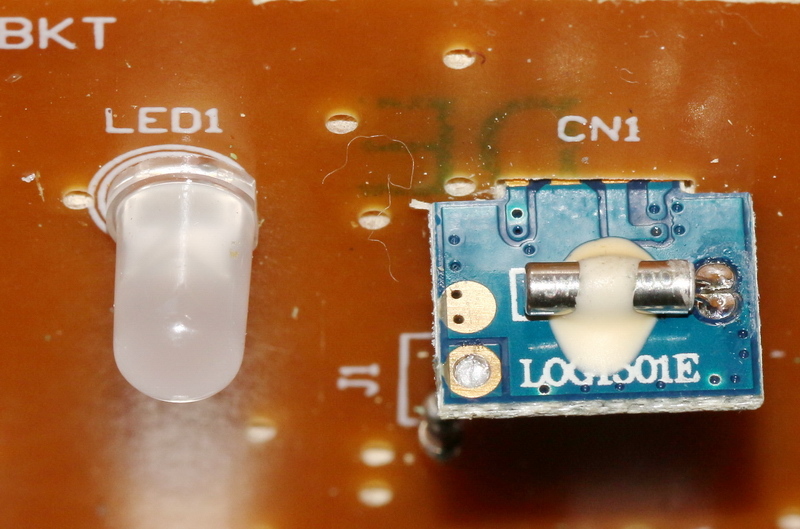 I did the transmitter hack and found one bulging leaky cap. Their are two electrolytics 100uf 10v. One was not the money the other 44uf and very high ESR. They are both 105 degrees low profile. I replaced both with 100uf 35 volt with very low ESR. Before hack and cap replacement only 10 feet range. Now seems almost limitless. frustrated – now i am loosing the signal on 15meters after i did the complete hack with a pigtail and a 3 and 5db antenna. i voltmeter tested everything for a short (ground and antenna)-all ok, no short. Hey, Mark, I had a very similar problem when attempting the hack. Just as I finished the board began to smoke and smoke emitted from the power switch just before it melted off. I have not yet found a solution but will let you know if i do. I would lilke to know if I can use a 10db wi-fi router antenna on the transmitter, and also if I need to modify the length on the unit itself and what should the antenna length wire be. Thanks, I did the hack , it works great !! Not yet tested the range. i posted earlier my question (just above yours). great that it had worked for you. please- can you tell me if the pigtail wire has to have a exact certain length, or is the router antenna taking care of all? thanks for your interesting hack on this item. my question is since i heart to duplicate the length of the antenna wire inside the transmitter (from 31mm to 62 millimeter). 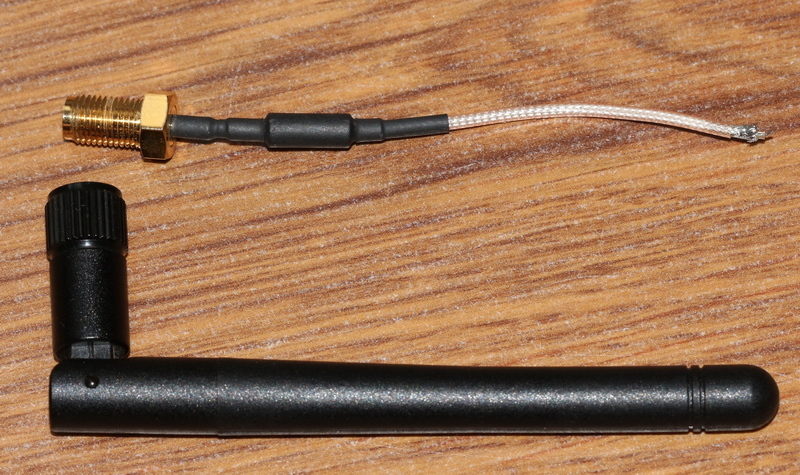 or is this step just necessary if there is no pigtail used, means only the 62 mm wire inside the transmitter? thank you for a answer. I used only the pigtail (without any wire) that comes with the antenna. As I know, you need to duplicate the wire length only if you don’t want to add a pigtail with antenna. thank you for your answer, this is helping me a lot. i had the idea that the end of the pigtail is called a wire. my plan was always to install a pigtail antenna, so in this case i don’t have to worry about the length, great. Guys, it works great. 80m+ and quad flies very stable! But be careful, i have damaged one thing (near signal cable), called induction coil, without contact on it – your copter can loose signal after 5-15m. Be careful. I replaced it with some plumbum, works fine. Good luck! If you have problems with signal, or it’s degraded (standard wire was better) – try different antenna, it works for me, old antanna works better than new one! I can fly syma through 2 tough walls with no signal loss! 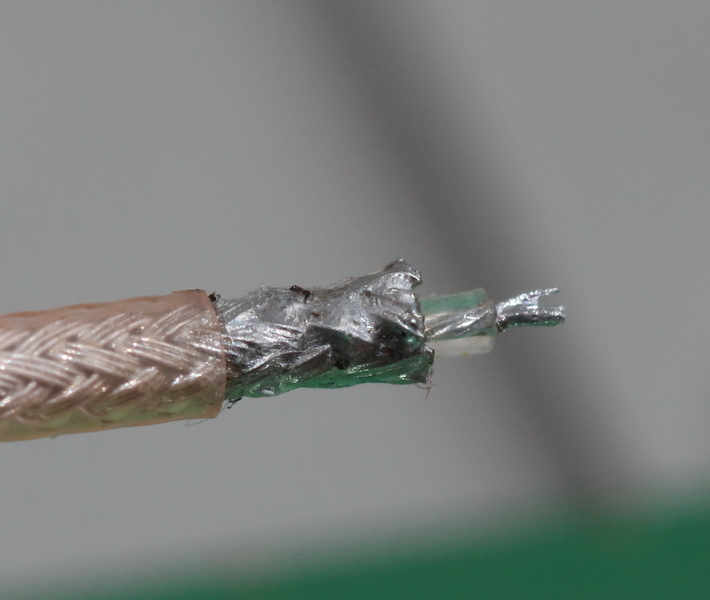 Try to solder back the original wire “antenna”, and see if the control range is OK. I tried to find an output signal from the x5c camera, trying points I thought might have,but no signal, finally trying random points (big mastake) , I fried the camera. I have ordered a replacement. Probably the X5C’c camera is a fully digital and it not has analog output. What a great write-up! Most often these instructional posts are difficult or impossible to understand well enough to duplicate. This renders most of them almost useless. This one is SUPERB! No extensive and special knowledge is needed to perform the mod! Thank you! The range hack should be valid for all of these toy transmitters that have less than adequate range. One comment on the video, NEVER, EVER turn on the radio without the antenna attached! i am loosing now signal on 15meters after i did the complete hack with a pigtail and a 5db antenna. @karim , found a photo for you : http://cdn.instructables.com/FTU/9XYT/HY5Y3QNB/FTU9XYTHY5Y3QNB.LARGE.jpg . When tx and rx have this modification it would be a better performance but the x5c can not take that heavy antenna with him on flight. I have done a modification on top of the body to make him look like an UFO, it costs 10g more and he won’t take off smoothly until i take the camera out. I tried to grind that half of sphere to reduce weight. so, does this hack work greatly? i ‘m waiting for my syma x5c-1, pending his arrival, I wanted to know: finally, there are two solder points, one for the signal (the wire inside the cable) and one for the ground wire (the wire to the outside of the cable), is that it, a photo can help me to more understand…..thanks a lot. What do you think about change antena in syma (reciever)? Will it help??? It is possible, but not tried this hack. in to feed a 5.8GHz transmitter. It would be great to use the stock camera for this to reduce cost. That is a good idea, I will open the cam an I will check the IC’s datasheet to see if we can extract some video signal. Would love for you to look into this. I pulled the camera and probed the bare contact test pads to see if I could get a composite signal, but I did not have any luck. I was not thorough though. I tried the same thing, without any success. I opened my X5C’s camera, and tried to find any analog video out. Unfortunately I got only some black & white on my TV. Is any max dBi what we can use? Bigger DBi = Bigger range? First I tried the hack with an 3db antenna, now I ordered something bigger with 5db. I will let you now if will have some range improvements. I was trying to make the range hack on my Syma X5C and it worked at first, but then the wires disconnected and i started to have instead of a single beep, a continuous one that wont stop…the remote controller wont connect this way. I don’t have a big knowledge of electronics too. Any ideas? Have you guys experienced this issue? Is this happening because i didn’t use a multimeter? 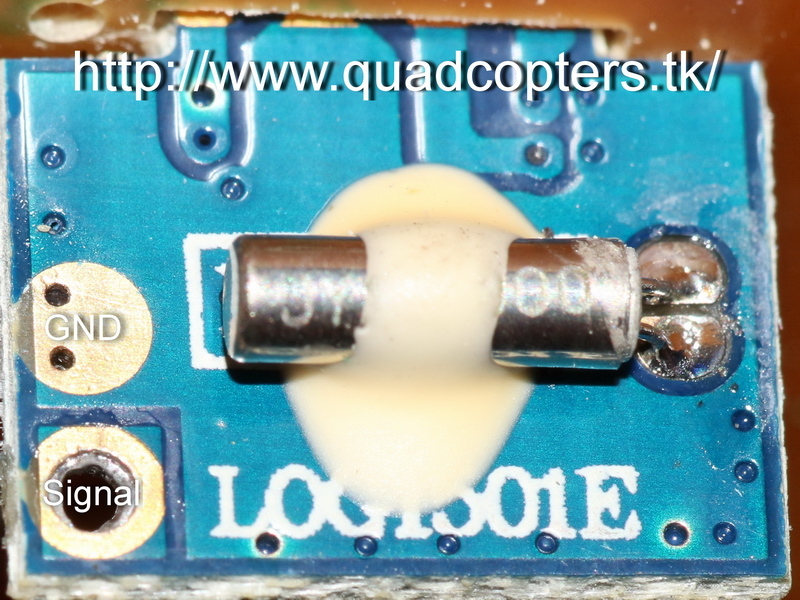 If you re-soldered the antenna wire correctly and won’t bind the transmitter with the X5C quad, it is possible that was produced a short circuit and your main board is half-dead. Is there any way to fix this? I think the same thing happened to me, but I don’t see how it could have as I was very careful and only soldered a longer wire to the existing antenna. After you removed the additional wire still won’t bid the X5C with the transmitter? If your antenna wire came off while your controller was on, you have fried the radio wave emitter board circuitry. Hi people…How long is the wire of wifi connector ? ?is this important ?For R.o.s …. 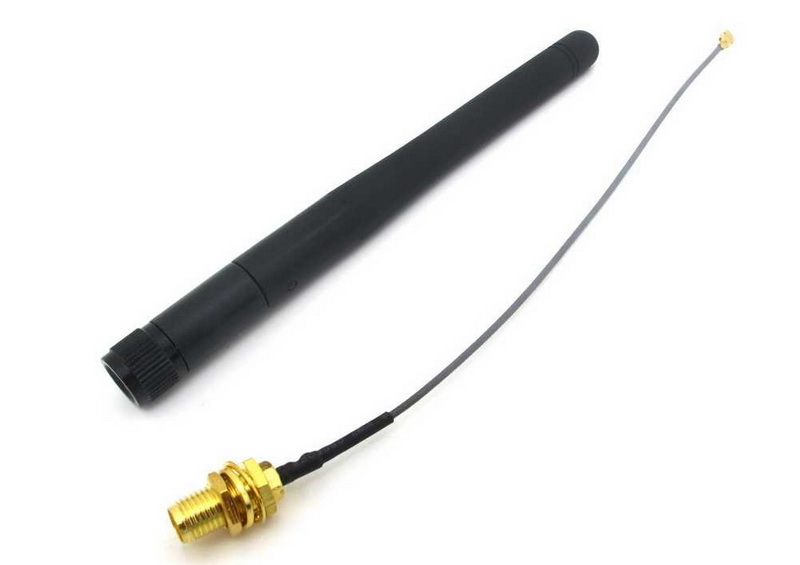 Accidentally I lost my Wi-Fi antenna, now I ordered an 10db 2.4Gh antenna, I hope the flight range will be even better. Any news on this hack? 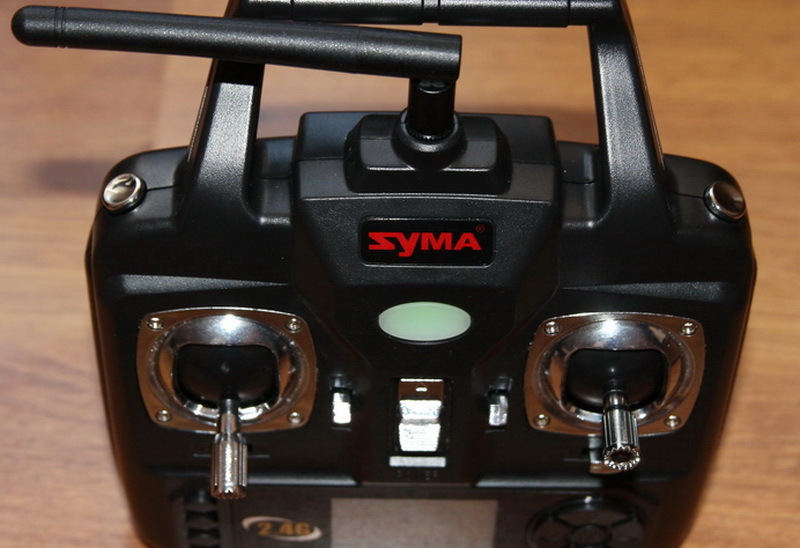 Any other way to extend the Syma X5C ‘s flight range? So tell me what is the max range you are getting after this mod? I am pretty interested to know what the differences are and by how much! My question to you is how do you remove the small metal connector. Do you just cut it off at the end and expose the wire? I removed the pigtail from an old router, it not has the metal connector just the signal and the ground wire. Hi just wondering why do you need to unsolder the power wires of the Syma X5C transmitter (red +, black -), won’t unplug the power be enough? or it’s just to make it easier to do the rest and not so much on worrying it will fried anything. 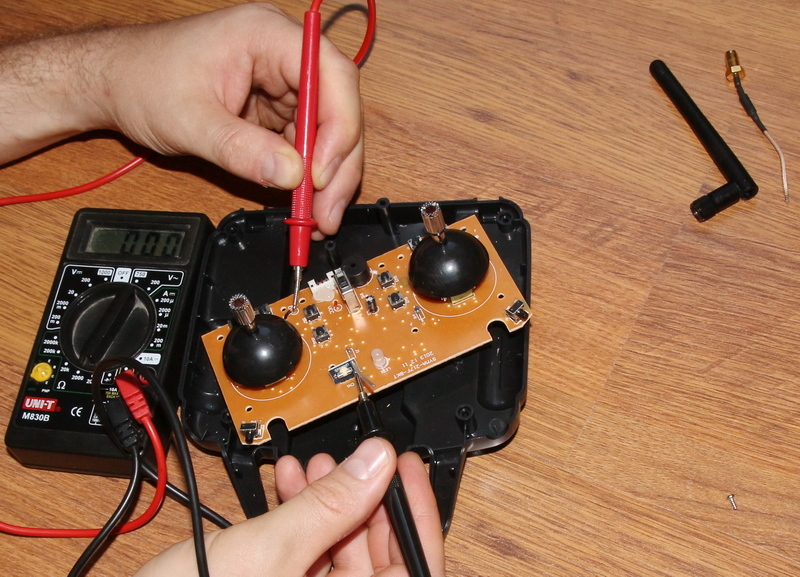 Yes, you can work more easier if you unsolder the power wires of the transmitter. Interesting, I found an old Asus RT-N10 just dusting down, but there is no ground on the antenna in it, do you think it still is worth trying? interesting, only one wire? 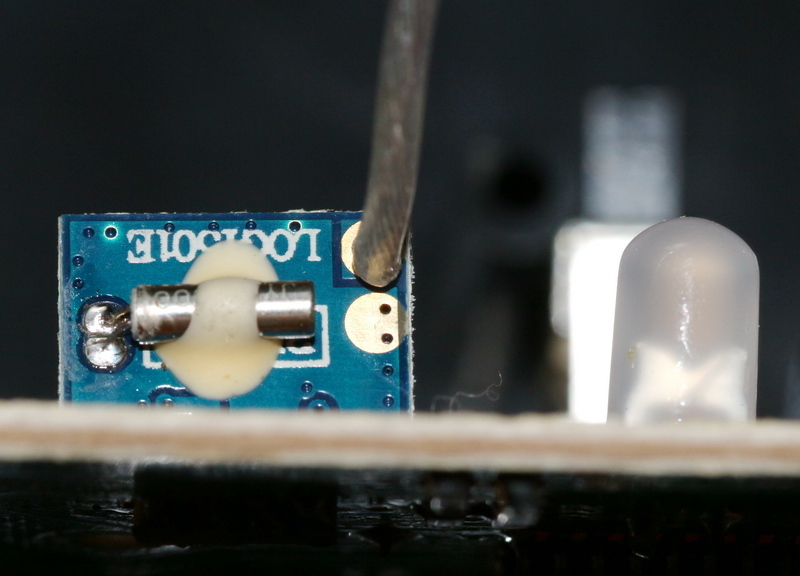 the antenna it soldered directly to the mainboard? can you send me an image? I’ve been looking for something like this. I saw another video where the guy just used a piece of wire. This video reminded me that I have an old Linksys lying around that I can steal the pigtail from. I’m curious to try this on mine as the range on the stock TX is awful. Check this out, the video for increased range mod. Thanks for the video, it is very impressive! It was a very good idea to recalibrate the length of the wire that served in the transmitter as an antenna. This range hack is cheaper but will it give the same results? I doubt it but at least it’s worth to try. Just holding out for your test now I’m hoping it will be even better. Good luck! And don’t forget the camera! Yes Dave, it worked! The results are promising. I think I got an extra 20 meter but, one of my batteries died and I could not finish testing the exact flight distance. Would increasing the rx antennas length make any difference? Noticed some quads antennas such as cheerson come out of the body and tuck into the landing skids. Great hack! To clarify is the ground on the pigtail soldered to the module? 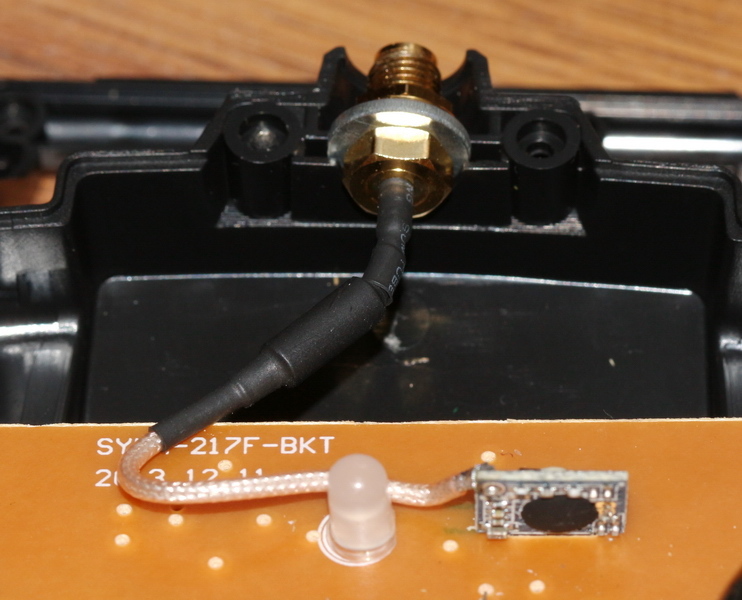 Yes, the ground (shield) on the WIFI pigtail is soldered to the GND on the TX Module of the Syma X5C transmitter. Have you had a chance to test the range yet? I hope this weekend the weather will let me to test the range and the flight altitude after hacking the transmitter. In fact an altitude test with the camera would be great! !